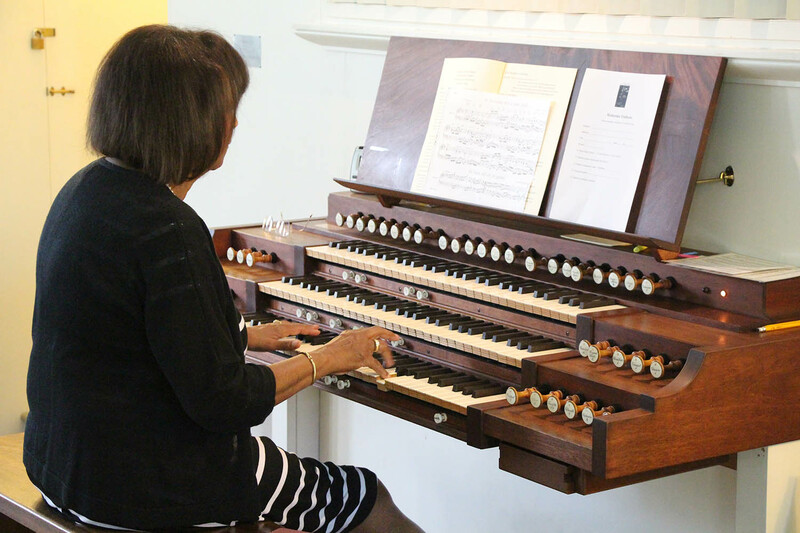 Eleanor Fulton serves as Center Church’s organist and Director of Music. 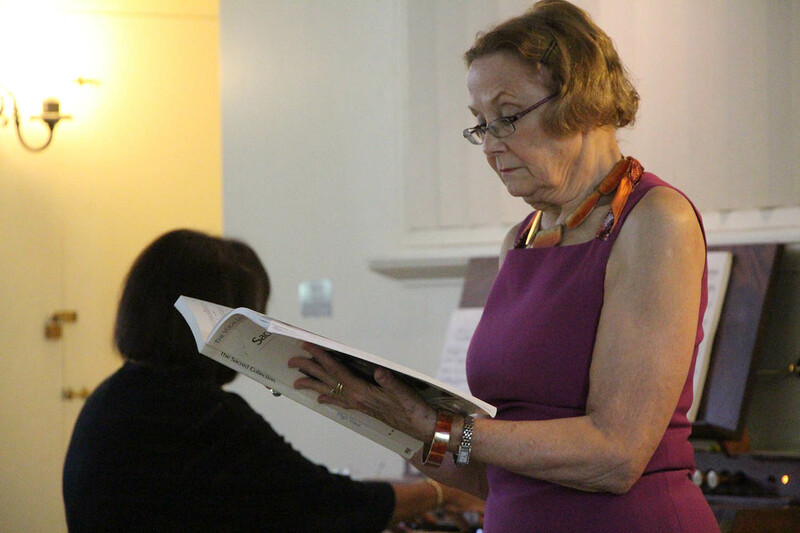 Together with the choir, she helps leads our weekly worship services. 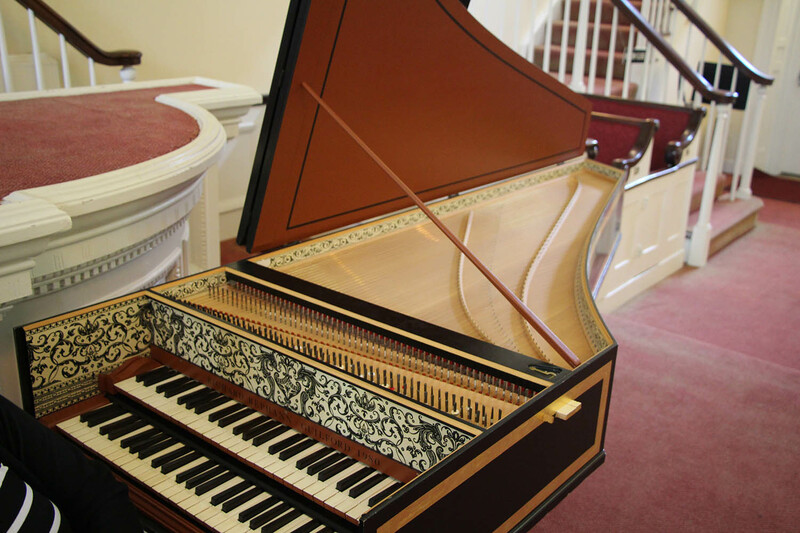 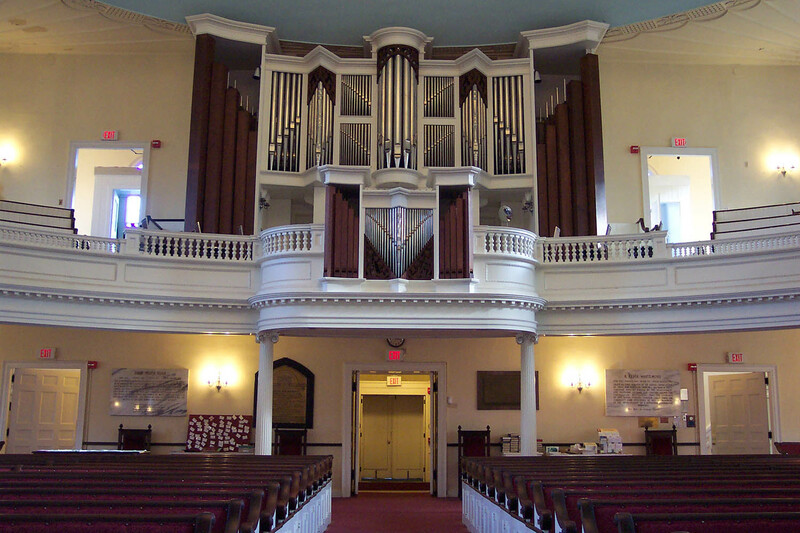 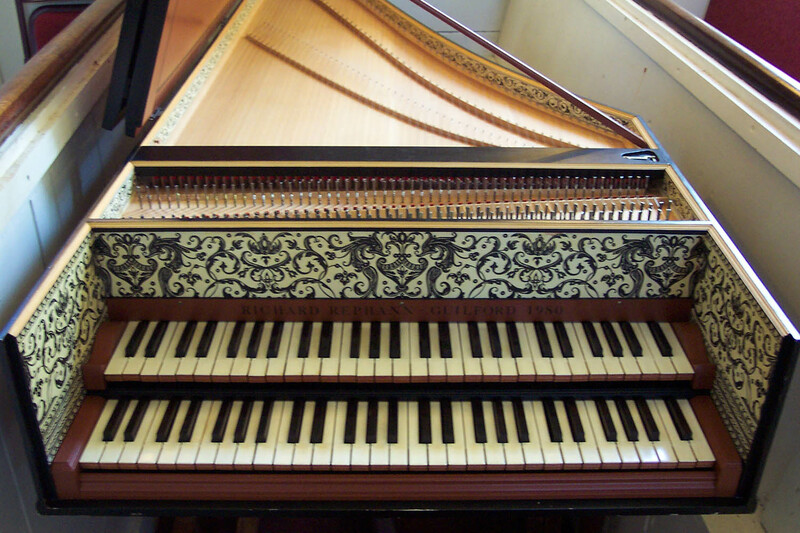 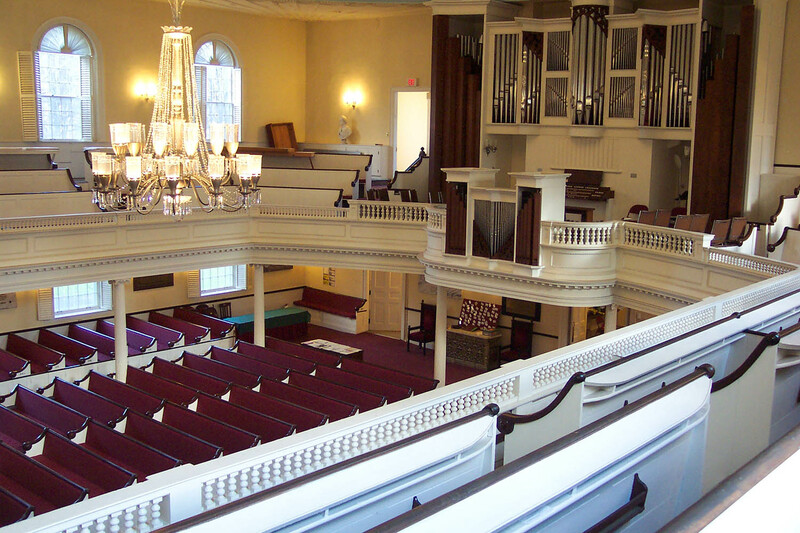 The church’s musical program is often augmented with unique instruments such as the Richard Rephann harpsichord, and occasional recitals given by students and graduates of the Yale School of Music and the Yale Institute of Sacred Music. 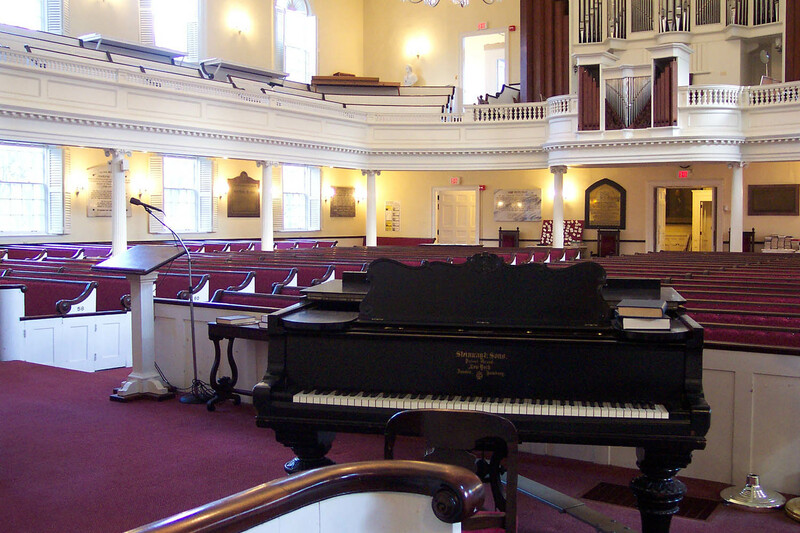 Center Church is the host to a number of concerts throughout the year and is available for weddings and other special occasions. 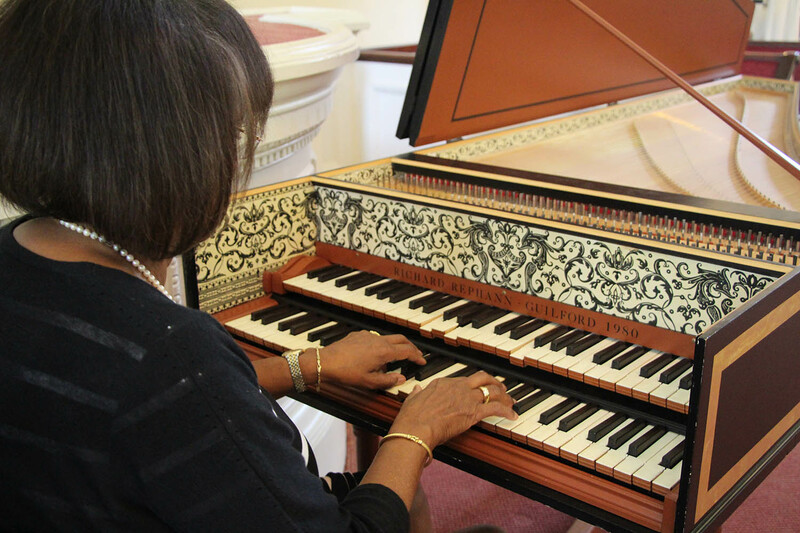 Please visit our events page or contact us if you would like any further information. 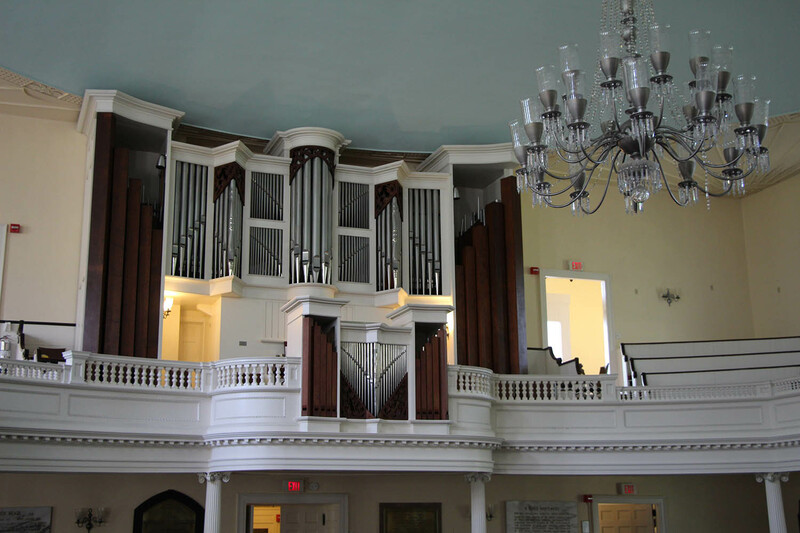 From 1895 to 1898, the famous American composer Charles Ives was the organist at Center Church during his undergraduate years at Yale. 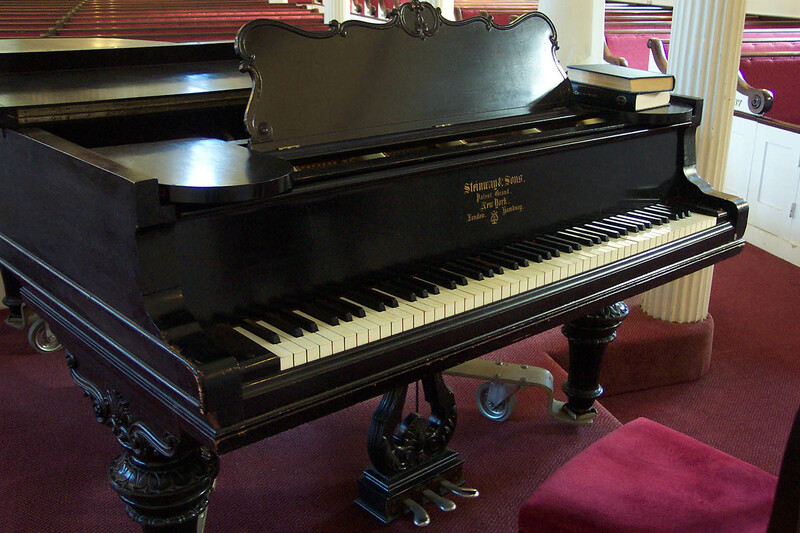 He was mentored and influenced by the choirmaster, John Griggs, and was visited in the church by his future wife, Harmony Twitchell Ives. 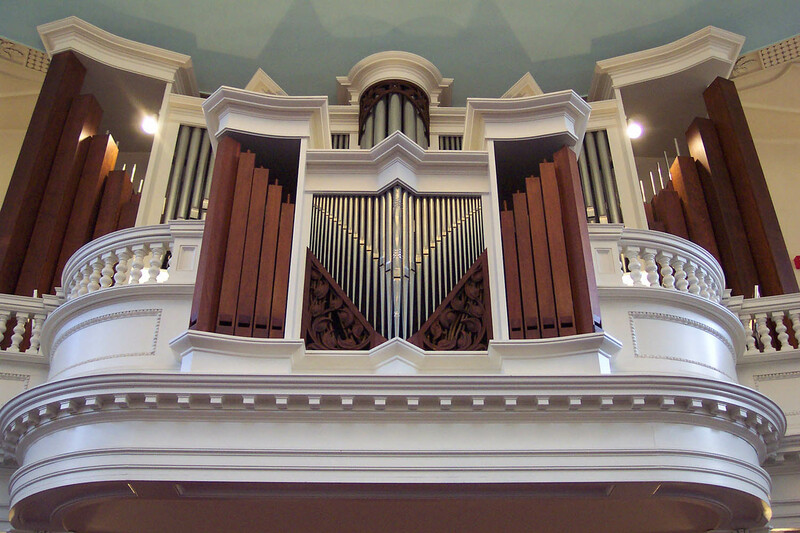 Located above the congregation and in the rear of the church, this massive and elegant pipe organ fills the air with beautiful music every week. 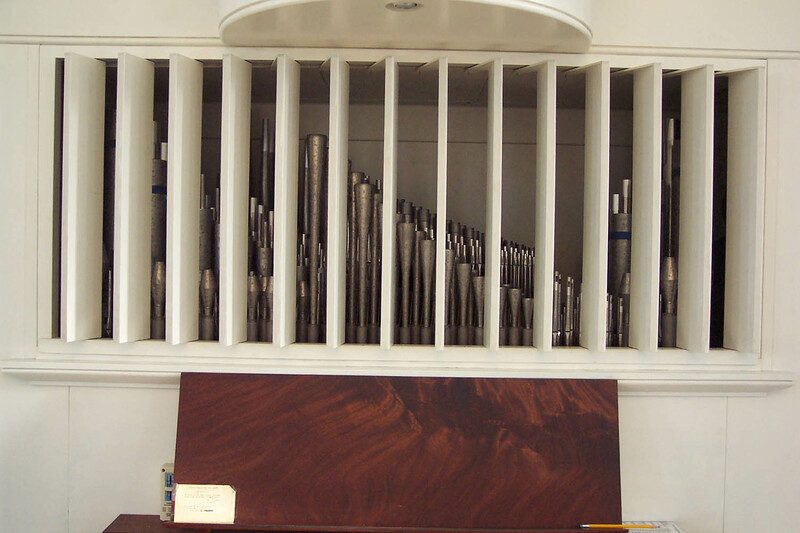 Built in 1971 by Charles Fisk of Gloucester, Massachusettes, this organ includes mechanical key and stop (tracker) action, and 2,582 pipes. 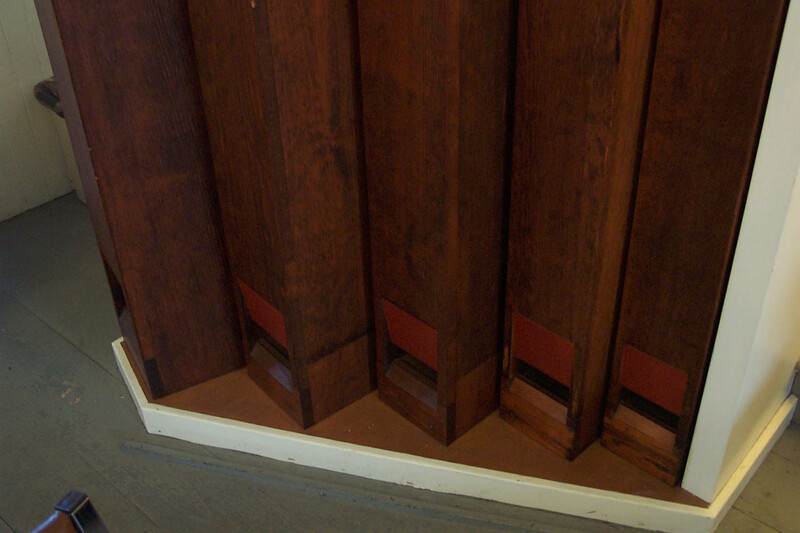 The Fisk organ is the third to be placed in the church. 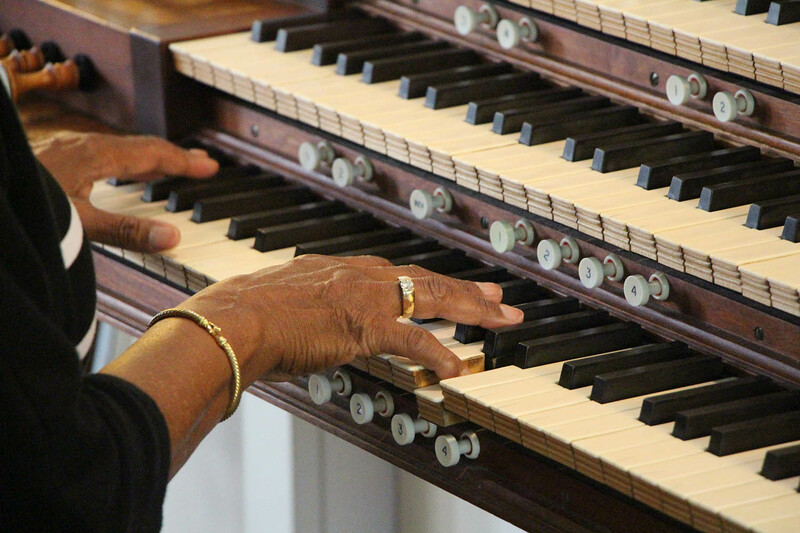 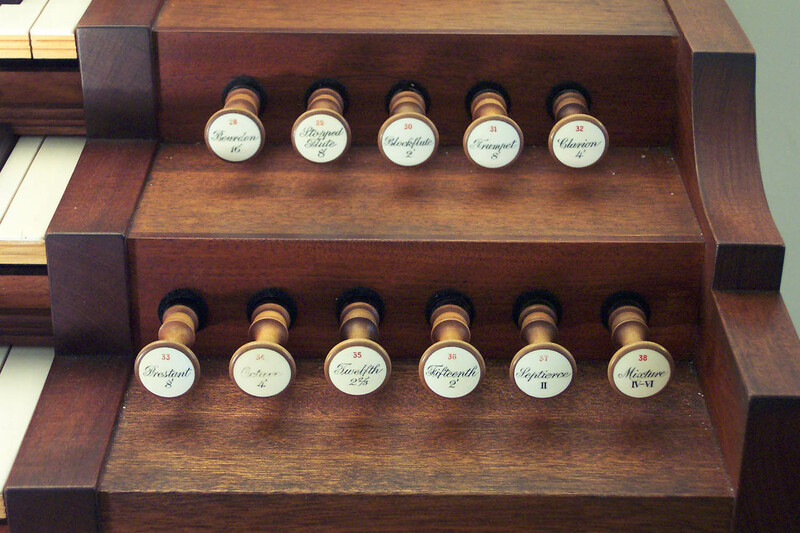 In 1855 a Hutchinson organ was installed – it required not only an organist to play it, but also someone to pump it. 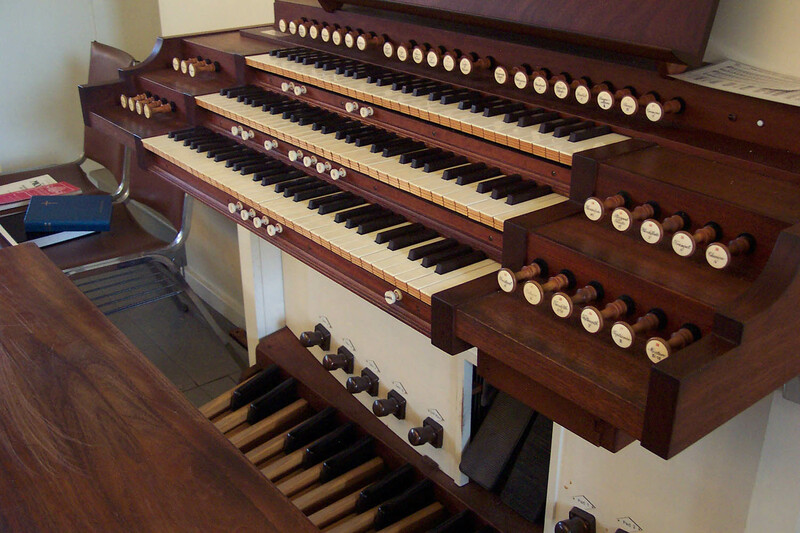 This was the instrument played on by Charles Ives, the American composer, when he was organist of Center Church during his undergraduate years at Yale. 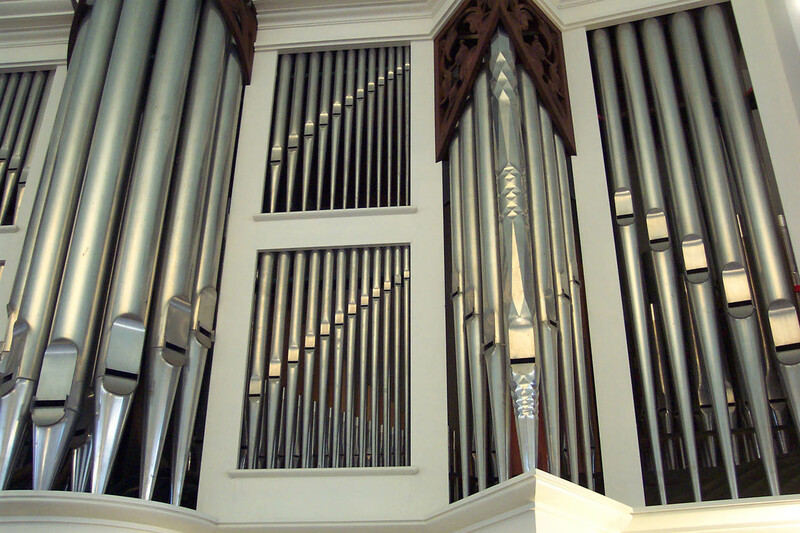 It was supplanted in 1913 by an Austin organ, the gift of the Farnam family. 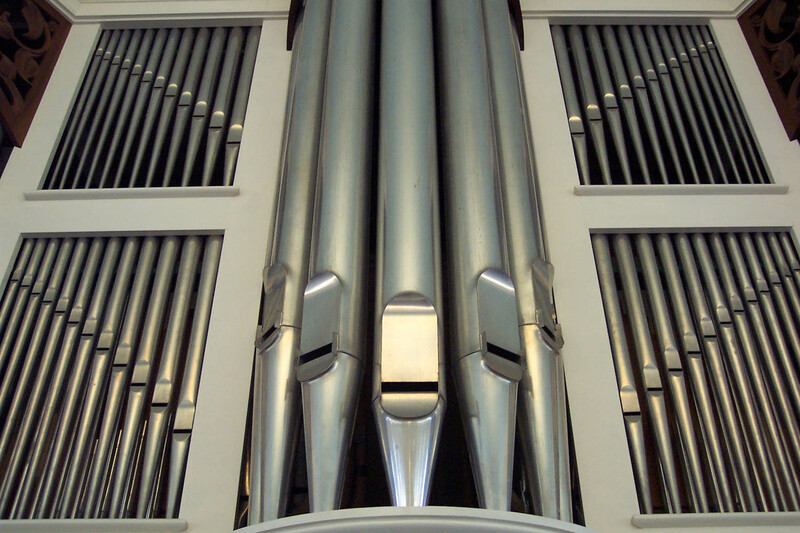 The current Fisk uses some of the pipes from the previous Austin organ.